RICHMOND, VA — “We make unique beers with unique ingredients,” said Mike Brandt, the brewer at Garden Grove Brewing Company, a tap house in Richmond’s Carytown neighborhood. Garden Grove has an extensive stock of ingredients, including 40 types of grain, more than two dozen types of hops, as well as other exotic ingredients sometimes found in craft breweries including coffee, figs, raisins, blueberries, currants, elderflower, lemongrass and hibiscus. There are also ingredients rarely found in breweries, such as grapes, aronia berries, thistle honey and red wine barrels. 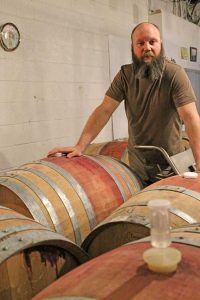 A former winemaker and viticulturist, Brandt draws on his wine industry experience when brewing. 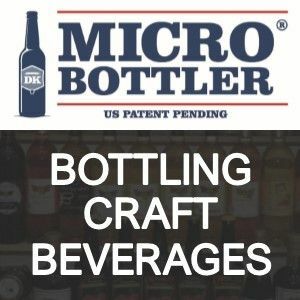 Most important is his philosophy of how to craft beverages. “We make a lot of different beers but they’re beers that are clean, well-made and balanced,” he said. Brandt makes beers at Garden Grove with such a diverse array of ingredients because he wants to celebrate the bounty of nature available through agriculture and horticulture, hence the name Garden Grove. Some Garden Grove beers have a number of ingredients, and a correspondingly wide array of balanced flavors. Others are more simply built, but no less delicious, such as Garden Grove’s Czech Pilsner, made with Pilsner malt, Saaz hops and Pilsner Urquell yeast. Since opening on Valentine’s Day 2015, Garden Grove has made over 100 unique beers — while making only about 200 total batches of beer in a three-barrel electric brewhouse. “We have our own thing,” said Garden Grove employee Will Wells. Because it is such a small brewery — making about 300 barrels in each of its first two years — to be economically feasible, the founders of Garden Grove knew from the start that they would have to have their own tap room. And it’s been quite successful. Some of Garden Grove’s beer is distributed in Richmond and surroundings counties, to outlets frequented by customers familiar with the brewery. Some production also is sold to and served at beer bars throughout Virginia. Most of Garden Grove’s beer, however, is sold in the same building where it is made. There are a dozen taps at Garden Grove. “There’s enough variety that we can usually find something for everyone,” said Jesse Leacock, a Certified Cicerone who works in the tap room. Recently, the offerings on tap included a ginger beer and a sparkling mead made with thistle honey, which is light and delicate. Customers also like going to Garden Grove for the events it hosts, including regular trivia nights and bluegrass jams. The brewery has an open-door policy to encourage guests to carry-in food and enjoy it while sipping Garden Grove beer. There are also tablets on the tables in the taproom. Customers can look up the ingredients list and tasting notes for each Garden Grove beer — or just surf the internet while drinking. One thing Brandt does that is uncommon in brewing is use wine barrels for fermentation. He stresses that he uses only once-used barrels, and puts the barrels through a rigorous cleaning processing, including multiple rinses and a sulphur treatment, prior to using them for brewing. But the end result are brews with more complexity, thanks to added flavors of oak and wine and the effects of micro-oxygenation. One such beer is Garden Grove’s Belgian Dubbel, Triple Threat & the Funkadelic 5. Made with five fruits and a wine yeast to ferment the fruit sugars as well as two beer yeasts, the beer has dark and dried fruit flavors, plus a pleasant weightiness from the oak contact. Beer like this, Brandt said, “is the closest thing to red wine,” you’ll find in the world of beer, in part thanks to its high alcohol content. 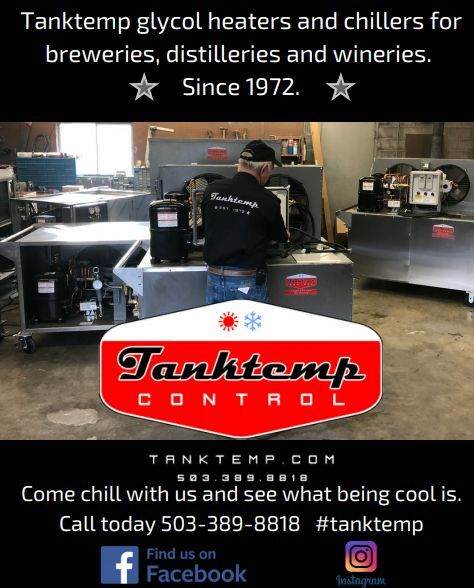 In addition to the wine barrels, the brewery has standard fermenters and brite tanks, but despite the brewery’s popularity, there is no immediate plan for expansion. “I like being small,” Brandt said. From a production standpoint, yes, Garden Grove is small. From the standpoint of inherent creativity or scope of potential impact, not so much.